❝ A strong legacy of U.S. leadership and engagement in global politics has been reduced today to what I call kinetic diplomacy – diplomacy by armed force. As of March 2018, the Trump administration has appointed only 70 of 188 U.S. ambassadors. At the same time, it has increased the deployment of special operations forces to 149 countries – up from 138 during the Obama administration in 2016. So while U.S. ambassadors are operating in one-third of the world’s capitals, special operations forces are active in three-fourths. ❝ The use of military force expanded not only under the Trump administration, but under Barack Obama’s as well. Now the Trump administration and Congress are also cutting back on foreign aid. As a scholar of international security, I’d like to suggest this raises two related questions: Does kinetic diplomacy advance U.S. interests, and how does kinetic diplomacy affect U.S. leadership abroad? RTFA and decide. I recall when the American public debated changing the name of our War Department to the Department of Defense. We’ve not yet been invaded. 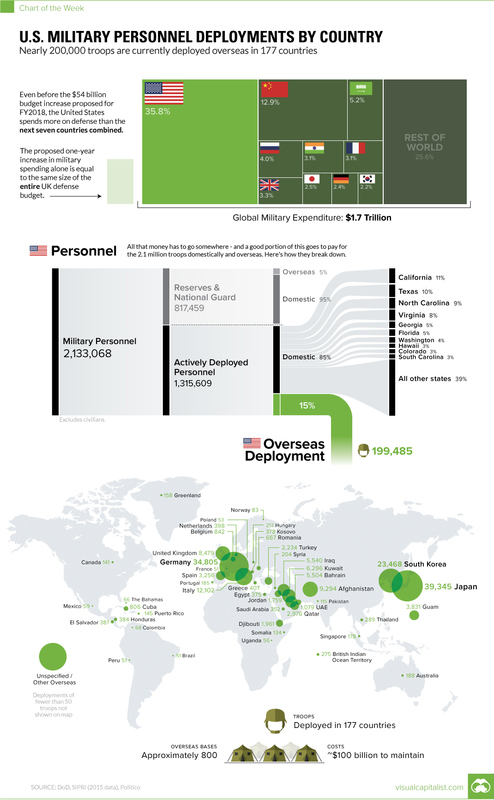 But, the claim of “defense” always seems to justify sending our military abroad.